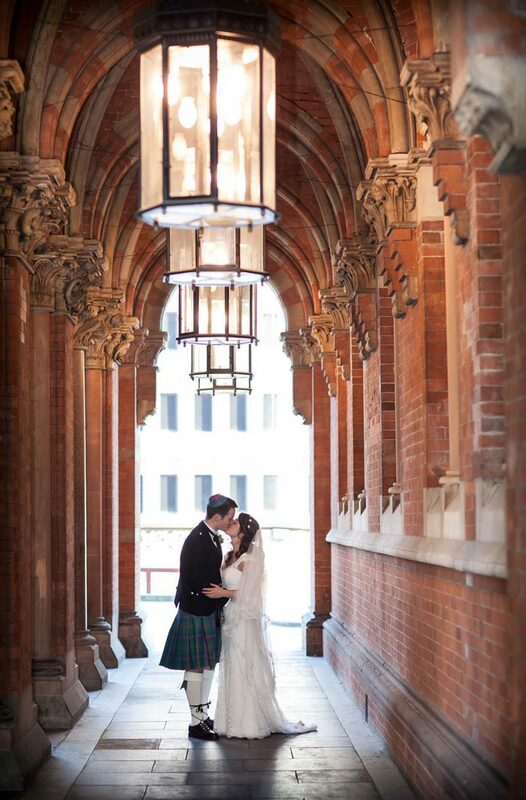 Our latest London St Pancras wedding was a great meeting of cultures in a venue that has culture in spades! 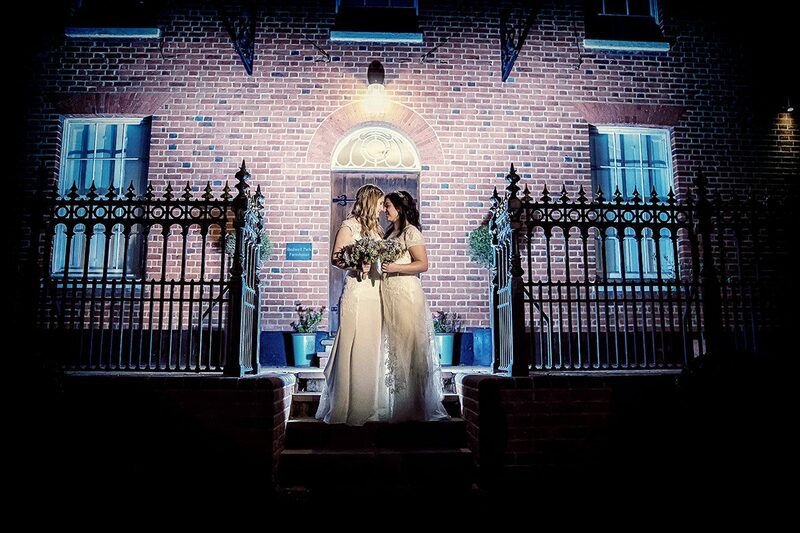 Lizzie and Sandy living in New Zealand and both in the medical profession came home to celebrate their love in front of friends and family at one of Londons most iconic hotels. 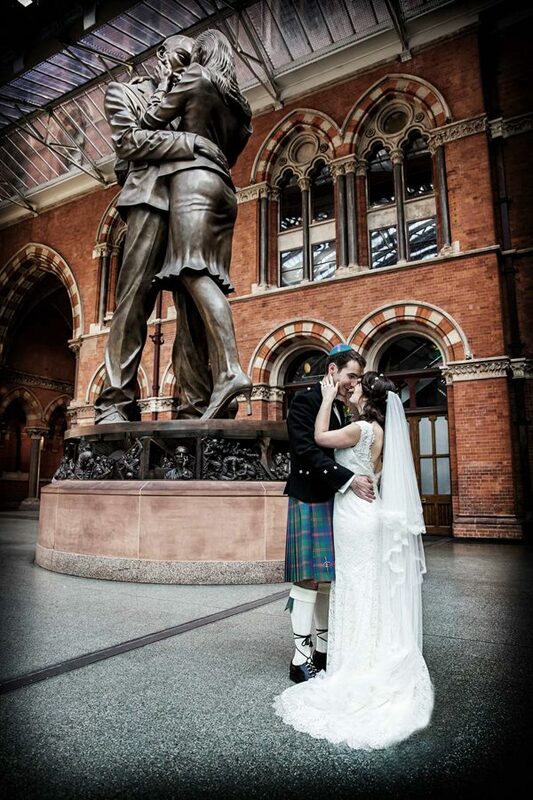 This incredible building and station not only dominates the skyline but is quite a part of Joanna’s childhood as she lived nearby and often looked at the clock tower from her bedroom window to check the time. 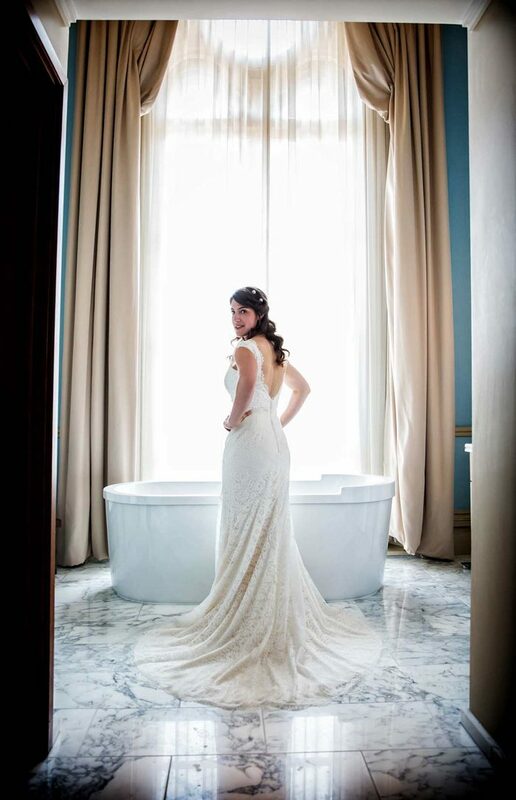 The day started with Lizzie getting ready in her fantastic bridal suite with lovely tall windows and an elegant adjoining bathroom. Not an original room we think as the hotel when it opened in 1873 did not have en-suites, for all it’s glory you would actually have to go down the corridor to bathe. 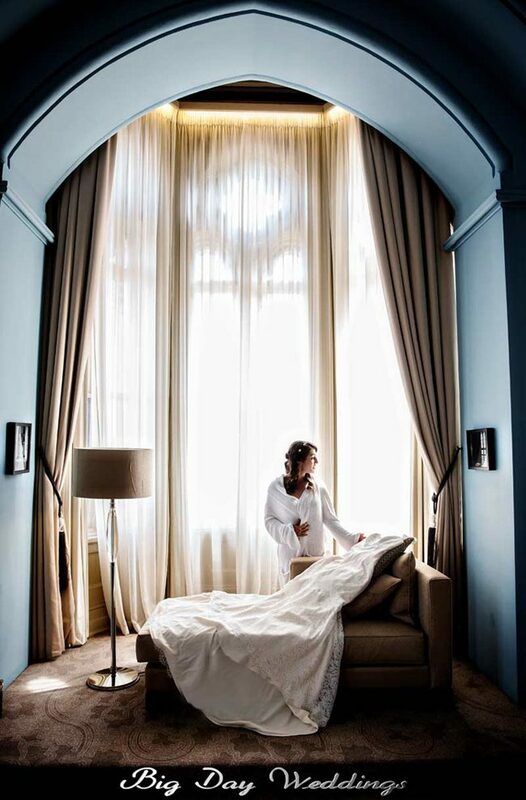 This is one of the factors that lead to the early demise of the hotel as tastes and expectations changed. After it recent refurbishment all those problems have been banished though, it really is spectacular and a great mix of old and new throughout! 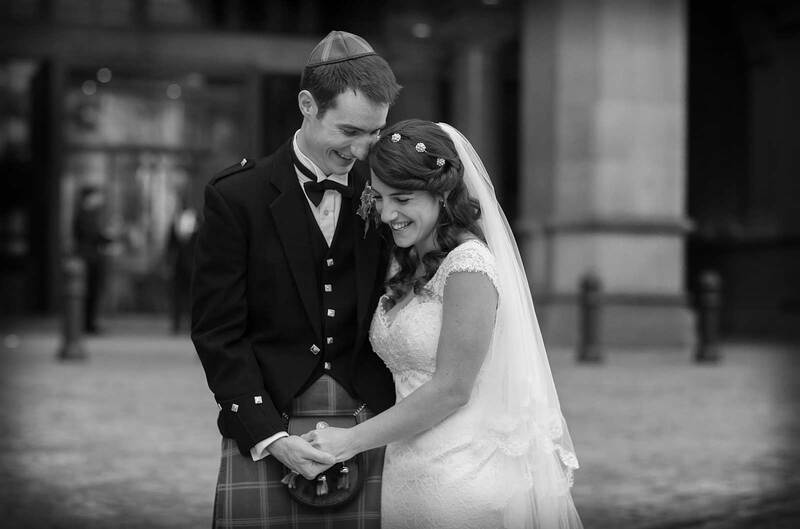 The wedding ceremony took place under the huppah in the dramatic Hanson Hall, and as Sandy is a Scotsman all the official kippahs were tartan. 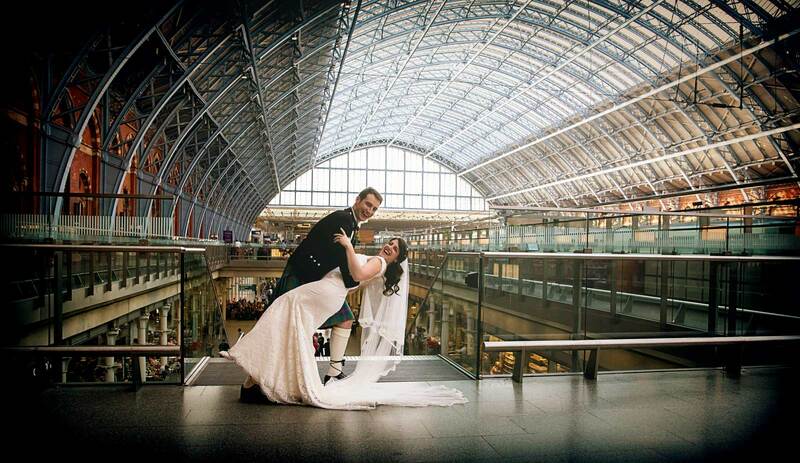 For couple shots we had twenty minutes (hey it’s all we need or less…) of fun around St Pancras station – one of the many location perks of being busy London wedding photographers. All too quickly it was back to the serious business of the wedding breakfast and dancing the night away. 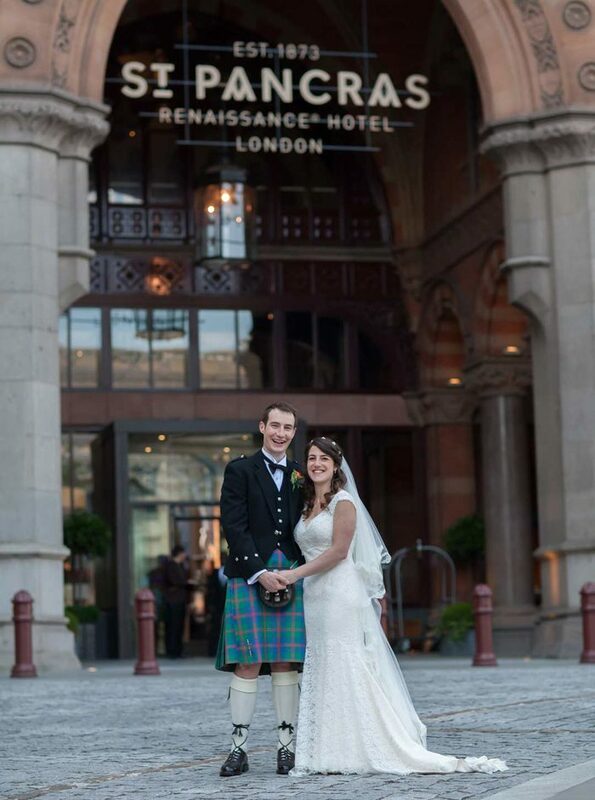 Best man Jim as well as a great speaker led the celebrations with his fantastic Ceilidh band. So a little Israeli dancing was followed by a lot of Celtic revelry. A great time had by all. 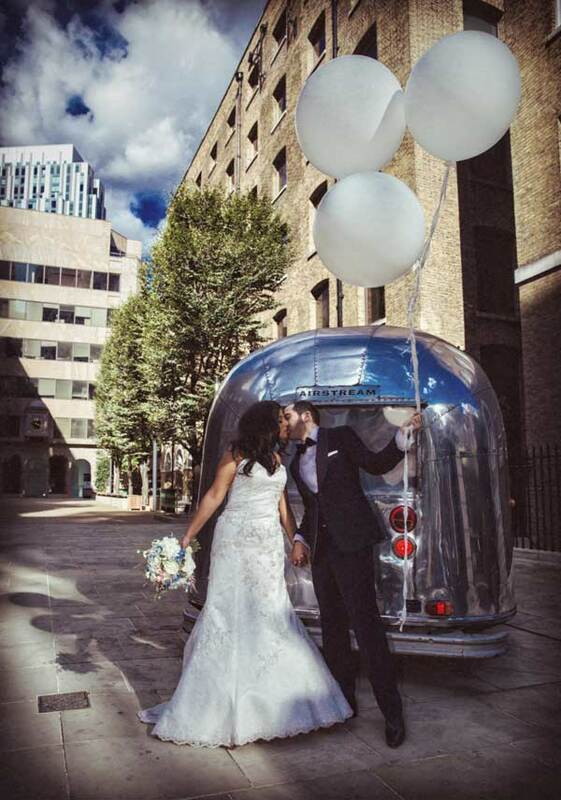 We are experienced at photographing weddings for all the major faiths so please feel free to contact us and ask for specific examples and whole wedding days.